I look forward to a lot of things: my football team winning another premiership, science discovering something cool, sleeping in on the weekend, sleeping in on a weekday, reading a good book. As a reader, I feel I have a responsibility to look forward to the next novel from my favourite authors. Thankfully, my favourite writers have never failed to deliver. The first Sydney Rye novel was a great mystery from Emily Kimelman. The novel rated as my Awesome Indy book of 2011. Dog walker is not the first occupation you expect from a mystery novel’s protagonist. But since detective or private investigator characters are as stale as last week’s bread that was first frozen, then thawed, then used to mop up spilt beer, it was refreshing for Emily’s protagonist to be a dog walker. Plus, I like dogs. If you haven’t read the first Sydney Rye novel, you may be confused why Joy Humbolt is calling herself Sydney and living in an RV in this second adventure. I recommend reading the first novel now…. Okay, so now that we are on the same page, I can say that Sydney is evolving. This isn’t just a name change, this is a quest to become something more. Emily manages to even cheekily title one of the chapters “Obligatory Training Montage”. All this novella has done is left me wanting to read the next edition. 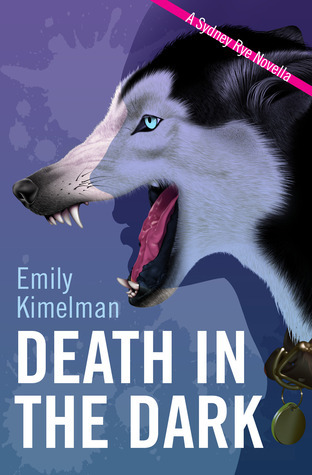 Fortunately, Emily has that coming out in January. Next Next post: What is a bookworm?